Creating a suitable working plan in order to improve our chess is never easy. It is very important to find the right material, but it is perhaps even more important to know what to work on. This can only be done by analyzing your own games and trying to find your weaknesses. You have to draw your own conclusions and decide what part of the game you have to work on. Most players work on tactics; this is usually recommendable and it can always be used as a way of “warming up” before a tournament, for example. The tactical vision is an important weapon during the game and only by spending many hours of puzzle solving you will be able to develop a “sense” for tactical blows during the game. 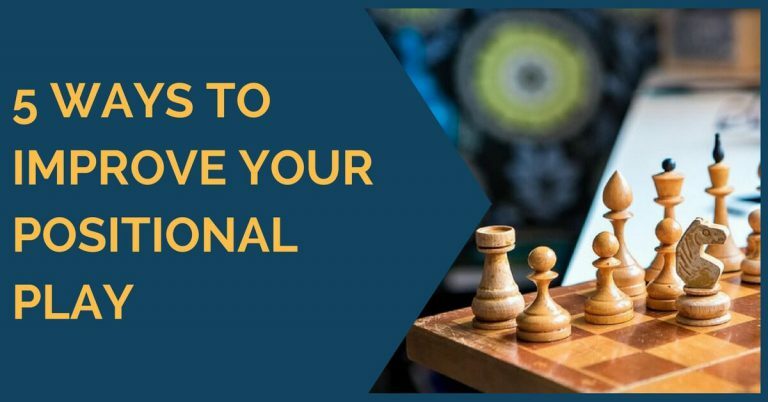 However, while many chess players try to improve their ability to attack and create a tactical environment, they have the tendency to “forget” that they will, at some point, have to defend as well. This is, in fact, a very difficult task to meet if you haven’t developed your patience and will try to constantly “do something”. 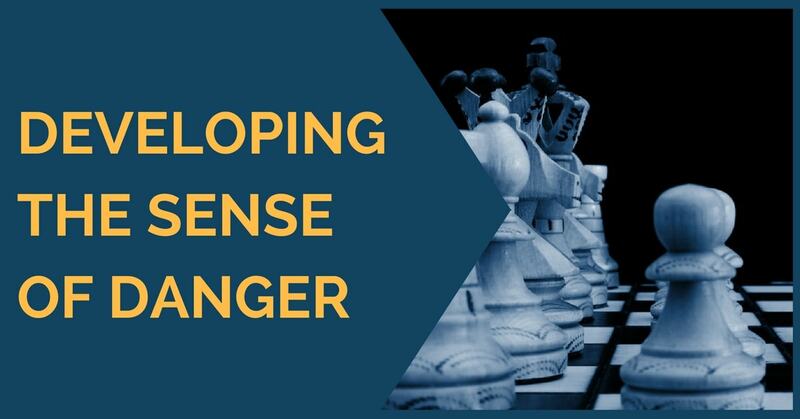 This is why in this article we propose a different type of training, one that is meant to develop your sense of danger and your ability to find the right defense. In order to do this on your own, try to see those attacking games from a different perspective and instead of only trying to find the best moves to build the attack, find the best moves for both sides! Once you have found a plan for the attacking side, flip the board and imagine you have to defend against it. 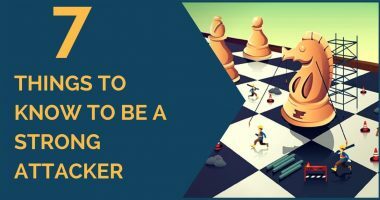 It’s not an easy task to find the best moves for both black and white, but it will definitely help you improve and, most importantly, you will get used to thinking the same way over the board as well. That means you will not only focus on finding the best move for yourself, but for your opponent too. There are many ways to defend against an incoming attack. You could try to stop it or create counterplay on the other side of the board, but one unusual method, although pretty efficient, is running from the danger. 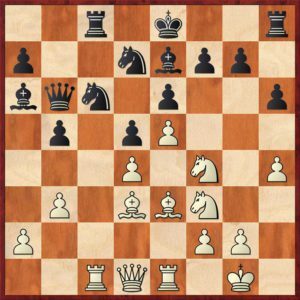 It is not a common idea to think of during the game, but it may sometimes be wiser to prevent danger by rethinking the position of your king. Now, let’s see some example where this plan was successful in practice. In the position above black needs to find a way of finishing his development. Castling would be ideal, but it looks rather dangerous here. 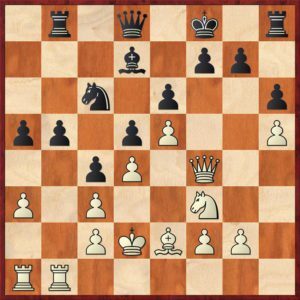 White has no clear way to win after this move, but with the two bishops pointing at the kingside and a strong knight on f4, black decides it’s not such a good idea. Instead, he discovers a safer place for his king – the queenside. So, he plays here …Kd8! and we will see that with this he is able to fend off white’s threats and even win the game. The diagrammed position appeared in a rapid game, but it is equally instructive. Again, we can see that there is no direct threat against the black king. However, white could try to mud the waters by achieving the break g4. That being said, black decides to find a safer spot for his king… and this is none other than e6! With the center blocked, white cannot attack the black king on this square. We have chosen to leave the most surprising king flea for the end. Once again, the black king could find himself in danger in the near future. Kortchnoj decides not to wait for that moment, when it might be too late, so he takes action. 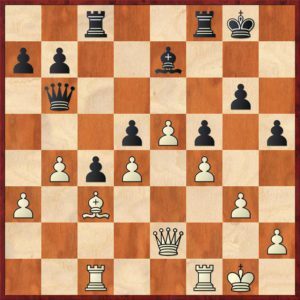 Can you find the plan he played in this position? 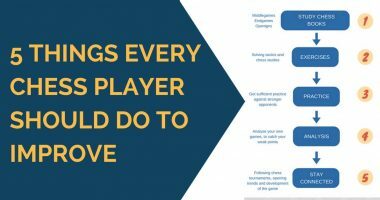 We hope that you found the ideas presented above useful and you will be able to successfully use them in your own games and training sessions. Thank you for reading!